As Sudip Mazumdar quoted me in this article on Karmapa, I would like to add that the responsibility for feeding rubbish to a very gullible media is not only with 'lower level police officials and unidentified source', but also with higher level police officers of the HP government and the Chief Minister himself. These officers may have please some local lobbies, but ultimately it has deeply upset the people of Himachal and other Buddhist regions of the Himalayas. Another news item said: "Prime Minister Manmohan Singh has assured a Buddhist delegation that he will personally look into the case." According to a press release issued by the Joint Action Committee of Buddhist Organisations of Sikkim: "The PM assured a Buddhist delegation, which met him yesterday to discuss the issue, that he would personally look into the matter and review the entire case as soon as the Budget session is over." It is high time that the Karmapa's name is cleared from accusations of spying. As Sudip Mazumdar explains: "[The Karmapa] is under surveillance round the clock. Intelligence officials listen in on all his meetings. Those agents must be too dumb or utterly incompetent not to notice money being put in the donation boxes." It would be the first case in the history of intelligence of someone who, being under day and night watch for 11 years, could continue to 'spy' without the intelligence agencies being able level any specific charges against this person. Now that Ogyen Trinley Dorje, better known as the 17th Karmapa, has been cleared of money-laundering charges by the Indian government, it is in order to take a look at the inept handling of a matter of great national importance and religious sensitivity. $200,000 on Jan 26 led to a series of raids on the 25-year-old Karmapa's shelter in exile. His modest living quarters in the Gyuto Tantric monastery in the sleepy village of Sidhbari in Himachal Pradesh yielded cash worth over $1 million in some 20 foreign currencies, including about 10 per cent of the total amount in Chinese yuan. Lower level police officials and unidentified sources quickly fed gullible reporters with charges ranging from the Karmapa being a Chinese 'mole' sent to India to spread Chinese influence in Himalayan border states to money-laundering to shady land deals. Few bothered to check with the Karmapa's aides before repeating the serious charges. Some media outlets aired blatant lies such as Chinese SIM cards having been found in his monastery and that he had visited Hong Kong and met Chinese officials there. Recovery of Chinese yuan was proffered as evidence of his being a Chinese mole. But there were 20 other foreign currencies including Malayasian ringgit to Singapore dollar. If Chinese yuan makes him a Chinese spy then he could jolly well be a Malaysian mole or Singaporean agent. The police recovery lists never mentioned Chinese SIM cards. It was also found that the Karmapa's office didn't hold foreign currency secretly and had twice sought the government's permission to receive unsolicited donations from a large number of devotees, including an increasing number from China. 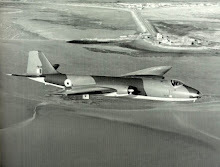 But an unsure government, prompted by a suspicious section of the officialdom, was still sitting over the application. 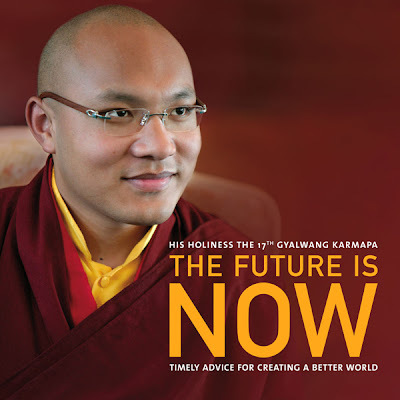 Amidst all these allegations, the tall, handsome and intelligent Karmapa remained unruffled even as messages of support poured in from Tibetan exiles and Buddhists from across the world. The Dalai Lama himself threw his weight behind the Karmapa saying that the young popular lama has many visitors from China who offer him donations in Chinese yuan. Since his daring escape and arrival in India in 2000, the Karmapa has been a source of suspicion for a section of India's security establishment which had put severe restrictions on his movements. He was allowed only one trip to the US in 2008. He is under surveillance round the clock. Intelligence officials listen in on all his meetings. Those agents must be too dumb or utterly incompetent not to notice money being put in the donation boxes. Beijing's leadership must be gleeful in seeing a possible rallying force for the Tibetan cause facing such ignominy in his host country. 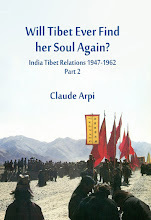 'It is clear that China is the first to benefit from the present messy situation in Dharamsala,' says Claude Arpi, an author and expert on Tibetan affairs. 'The last thing Beijing wants is to see the Dalai Lama designate a 'spiritual' successor before he leaves this world. Beijing has been planning for decades for the Dalai Lama's succession'. Any disarray and confusion among Tibetans obviously helps the Chinese leadership's plans to keep the restive region under control. 'China gains from this episode without having to lift a finger,' says Dibyesh Anand, who teaches in London's Westminster University and has authored a book on Tibet. Add to this India's own chaotic and opportunistic party politics. The BJP-ruled Himachal Pradesh government planted stories in the media with little respect for the sentiments of Indian Buddhists. 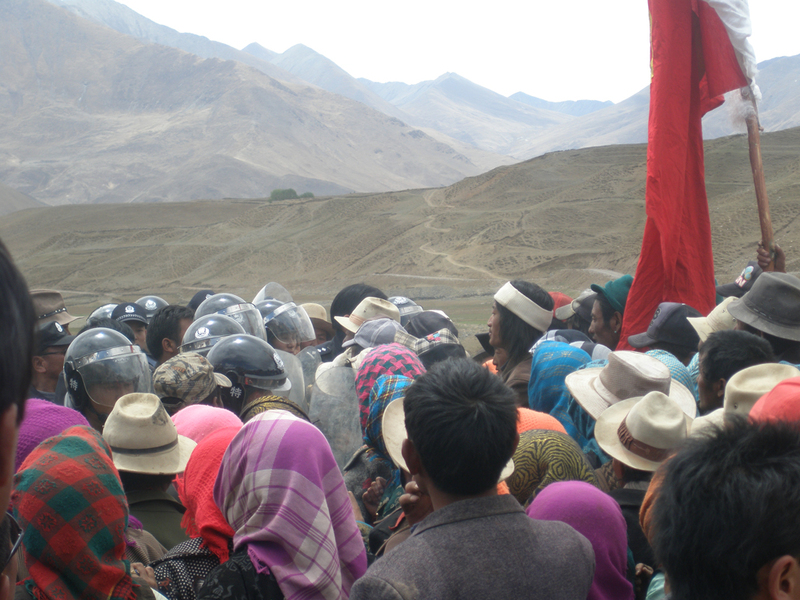 Peace-loving and intensely loyal Himalayan Buddhists felt let down by the vicious attacks. Similar attacks on Muslim or Hindu religious figures would have invited violent protests. Instead of throwing stones, they held prayer meetings in Delhi's Jantar Mantar. Much of the Indian media of course ignored those peace vigils. 'Indians in the Himalayan region are not treacherous beings and to see them as willing allies in an effort to destabilize India is simply preposterous,' says Thinlay Topgay, a lawyer from Sikkim who now works in New Delhi. 'The Karmapa is not running the local office of the Chinese security establishment.' By allowing wild rumours to gain currency, India's paranoid security establishment has scored an ignominious self-goal, much to the amusement of its Chinese rivals. India has never really appreciated both the diplomatic and strategic advantage and the goodwill that it has derived from sheltering the Dalai Lama and the Tibetan refugees. It is time India handled them, including the Karmapa, with care. One understands when one reads the three articles from the Chinese press posted below. First, the number of major social incidents is fast increasing. A large numbers of such incidents can't be solved locally, and Beijing has to intervene. But are the issues really solved as long as there is no independent judiciary. Then, Beijing refuses what Politburo Standing Committee Member Wu Banguo called "a multi-party political system or diversity of the guiding ideology". It is a pity that Mr Wu and his colleagues are unable to see that a 'democratic' system, even if not perfect like in India helps containing the often-genuine grievances of the masses. But do they still care for the 'common men' or are they just interested to keep the monopoly of the Party? The present leaders are perhaps less corrupted than the Qaddafis or the Mubaraks, but the repression of the ordinary people's aspirations, is the same in China, in Libya or in Tunisia. This does not lead to stability and peace. In the third article, the entire blame is put on the United States for the present 'flower revolutions': "the US State Department is willing to see crowds and blood in the squares belonging to other territories." It is just too easy. In fact, the US have accommodated quite well with dictators in the past. The example of Qadaffi and others are the most recent cases. It is perhaps time for Beijing to stop blaming the West for its own problems and look into the aspirations of its own people. In January, Shanghai Jiao Tong University released its annual report on social unrest in China. The report, titled “Annual Report on China’s Crisis Management,” stated that in 2010 there was a major incident of social unrest every five days. This represents a 20% increase over 2009. The report stated that in 2009 there were 60 major incidents of major social unrest while in 2010 there were 72. Social unrest had spread throughout 29 provinces and cities (over 90%), with most occurring in Henan, Beijing, and Guangdong. About 43% of the incidents could not be resolved by the local governments and required intervention from upper levels of government to restore order. The report found that the crises hit the media much faster in 2010 than in 2009. About 33% were reported the same day and 67% were reported by Internet media, particularly through blogs. Xinhua quoted an article from a Russian media report with the same title as above to hint that the United States instigated the recent Egyptian riots. The article stated that the dramatic events happening in the Arab countries in recent weeks once again demonstrate that the United States has never observed the principle of not interfering in a sovereign country’s internal affairs. It (the U.S.) gets rid of the “dictators” from the list of its past friends in order to arrange newly “elected” dictators. As long as it can help solve the problems facing the United States, the U.S. State Department is willing to see crowds and blood in the squares belonging to other territories. Secretly starting a revolution “from within" is an ideal tool. The article quoted a report from the U.K.’s Telegraph claiming that the United Stated secretly supported the Egyptian dissidents who, three years earlier, had promised Washington they would organize a “power turnover” campaign. 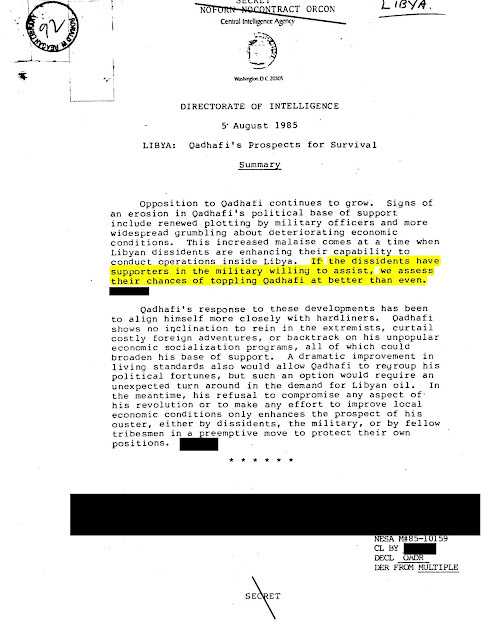 The National Security Archives Blog publishes some 'historic' documents on Qadhafi. Two days ago, I wrote about the poor 'intelligence' of the French (soon former) Minister of Foreign Affairs who went on a 'private' visit to Tunisia when the popular revolution had already started. The assessment of the US Directorate of Intelligence demonstrates that the Americans, like the French can be totally wrong in their assessment about an actual situation. Twenty five years ago, the CIA believed that the chances of toppling Qadhafi (see below for the 53 different spellings) were excellent. What has happened then? The problem is perhaps that the Western powers prefer to work with Ben Alis or Qadhafis or even ISI's generals in Pakistan or even a Politburo in China than with a democratic elected government. Dictators, tyrants, military rulers are considered more 'stable'. Take India for example. it is so difficult to understand who is ruling and who should be 'influenced' to get a decision through. 'Democracy' seems to confuse great powers. Another moral of the story: a 'sage' said that God will come when wisemen eat and sleep (and they will not notice God), so perhaps the tyrants will fall when the CIA or the DGSE sleeps and the ministers enjoy their lives. CIA Assessed: “Chances of Toppling Qadhafi at Better than Even” …More than 25 Years Ago! In 1985, a CIA Directorate of Intelligence Report entitled, “Qadhafi’s Prospects for Survival” painted a bleak picture for Colonel Qadhafi’s continued rule of Libya. The report concluded that if dissidents and the military joined forces, “we assess their chances of toppling Qadhafi at better than even.“ I guess being 26 years off isn’t sooo bad. Glad I didn't take that bet. Before I get too far along, I guess I should explain that I am spelling Qadhafi this way because that’s how his name comes up in the CIA reports. He’s actually quite tricky to research because each agency spells his name differently –Department of State spells it Gaddafi– making full-text searches a tough task. The Library of Congress lists 53 alternative spellings for his name. His personal website – down at the moment – is algathafi.org. There are rumors that he signed a letter to a bunch of Minnesota second graders, “Moammar El-Gadhafi.” But I digress, we’re going with “Qadhafi” in this blog post. Qadhafi’s four-decade reign has not been uninteresting. Upon seizing power after his coup, Qadhafi promoted himself from captain to colonel, but no higher. Following the example set by of Egypt’s Gamal Nasser, Qadhafi claimed that he did not need a grandiose title since Libya was actually ruled by the people. Of course Qadhafi later took the meek mantle: “Brother Leader and Guide of the Revolution.” He also eventually established what is referred to as an “Amazon Guard” of reportedly elite, beautiful women soldiers. Thanks to wikileaks, we know he is reliant upon Galyna, his “voluptuous blond” Ukrainian nurse. After Nasser’s death, the pan-Arabist Qadhafi tried establish a “Federation of Arab Republics” between Libya, Egypt, Syria, and Sudan. After working on if for five years (1972 to 1977) the Federation finally fizzled. Qadhafi was initially an ardent supporter of the Palestinian Liberation Organization and shunned countries (including Egypt) who warmed to the west. Libya eventually allied with the Soviet Union. It was the first county outside the Soviet bloc to receive the USSR’s supersonic MiG-25. Qadhafi was a well-known supporter of liberation movements – and terrorism. He financed the Black September Movement which killed 12 at the 1972 Munich Olympics, collaborated with Carlos the Jackal, was accused of selling arms to the Provisional IRA and FARC, and was behind the 5 April 1986 discotheque bombing in West Berlin that killed two US officers and a Turkish woman, and injured more than 200 people, many of whom were US soldiers. Which brings us back to the 1985 CIA intelligence report proclaiming Qadhafi’s weakness. After the discotheque bombing, Reagan publicly proclaimed that Qadhafi – who was supporting the US adversary Iran in the Iran-Iraq War – was the “mad dog of the Middle East.” Days later, the President authorized Operation El Dorodo Canyon, a 15 April 1986 joint US Marine, Navy, and Air strike against five sites in Libya, including Bab al-Aziza, where Qadhafi and his family lived. No doubt Reagan’s National Security Counsel was aware of the CIA assessment that implied Qadhafi’s grip on power was tenuous as it recommended the attack. The strike missed Qadhafi, but did kill his adopted daughter. A 2008 report claimed that Qadhafi fled his home at Bab al-Aziza minutes before the attack after receiving a phone call from the Prime Minister of Malta warning that US planes were heading toward Libya. The report concluded that Qadhafi probably had “only a slightly better than even chance of staying in power through the end of this year.“ The report did not speculate who his successor would be, or if his successor would be better or worse for US interests. If the Reagan administration’s goal was regime change in Libya (it did after all bomb Qadhafi’s home), I posit that Operation El Dorado Canyon may have had the opposite effect. Qadhafi may have manipulated the threat of a western invading force to cause the population of Libya to rally around – or at least acquiesce to – his leadership. As seen in Mao’s China, the Kims’ Korea, the Ayatollahs’ Iran, Mugabe’s Zimbabwe, and Saddam’s Iraq, despots often utilize the threat – real or imagined– of the United States to solidify their power. After outliving the odds presented by the CIA briefers, Qadhafi also outlived the Soviet Union. After the Cold War ended Qadhafi began working to improve his relations with the west. * Libya eventually agreed to pay more than 2 billion dollars to compensate some victims of terrorism – including families of victims of the 1986 discoteque and 1988 Pan Am 103 bombings. * In 2003 Libya disclosed and dismantled its WMD program. The US removed it from the list of state sponsors of terrorism. * In 2007 Libya signed a lucrative – and controversial – oil deal with British Petroleum. * And in February 2011, the International Monetary Fund praised Libya for its “ambitious reform agenda,” and lauded the “strong macroeconomic performance and the progress on enhancing the role of the private sector.” Wow. Well, I guess he was financially savvy enough to turn down an offer from Bernie Madoff. As Libya burns, it’s clear that Libyans were not satisfied with Qadafi’s – to quote the IMF – “ambitious reform agenda.” What isn’t clear is whether or not the US campaign to isolate –and militarily attack– Libya ultimately helped prop up Quadafi for four decades. Perhaps isolation is the despot’s brier patch. At any rate, I’ll give “better than even odds” that Qadhafi’s 42-year reign is about to end. I wonder what the CIA thinks. Route to Heaven or Hell? It sounds as if Beijing is planning to send electricity from the mainland to Tibet, which is the region of the world with the highest hydropower potential. More than 2 billions dollars for supplying electricity to the Tibetan plateau which will soon produce gigawattas of electricity. The same equipment can probably use 'in reverse' and power will then be sent from Tibet to the mainland. The Qinghai-Tibet AC/DC Power Networking Project will be completed by the end of 2011, local media news reported. 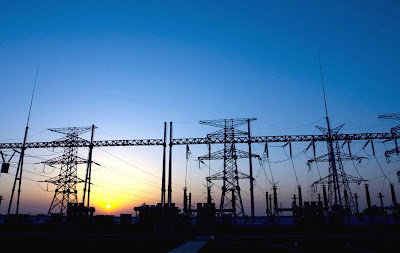 The power grid interconnection project is one of China's 23 key projects of the western development strategy, which started in 2010. According to Wen Weibing, deputy director-general of this power project, three sections are being constructed before operation: 750 KV electricity transmission and conversion station along the Xining-Mt. Riyue-Wulan-Golmud line, 400KV. D.C. electricity transmission from Golmud of Qinghai to Lhasa of Tibet and 220 KV. electricity ring network in Lhasa. Due to the complex highland natural conditions in Tibet, the power networking project requires sophisticated technology and take prudent measures to battle the high altitude, large frozen soil area, fragile biological environment and harsh working conditions. It is reported that 16.2 billion yuan and 60,000 workers have been involved in accomplishing this project. By December 2010, it has already witnessed remarkable progress. The Qinghai-Tibet AC/DC Power Networking Project will end the history of single power grid operation, and tremendously improve the power supply in Tibet. To attempt guessing the future of a Chinese leader, it is always tempting to look into his past or into his lineage. It is what US diplomats have done and thanks to Wikileaks, a better picture of Xi Jingping, who will take over the mantle of ‘core leader’ of China from President Hu Jintao in 2012, is emerging. After the Eighteenth Party Congress in Beijing, Xi will wear three hats: General Secretary of the Chinese Communist Party, President of the People’s Republic of China and equally importantly, Chairman of the Central Military Commission which controls the powerful People’s Liberation Army. In cables released in December, US Ambassador Clark Randt painted an interesting portrait of Xi, particularly after the latter met Randt for dinner at the US embassy in Beijing. Xi was then Zhejiang Province Communist Party Secretary. That evening, Xi showed a great interest in development; he told Randt that Zhejiang was a driving force behind national economic growth: “Zhejiang ranks high for income, low for income disparities, and makes substantial contributions to migrant worker employment and transfer payments of fiscal revenue to the Central Government”. The future President pointed out that “the faster a province grows, the greater the amount of revenues that the province will transfer to the Central Government” Moreover, these revenues contribute to support poorer regions in Central and Western China. Xi affirmed that in his province, Party and government officials “are regularly informed of citizens’ complaints and plan to address recurring concerns about education, affordable housing and healthcare.” He obviously wanted to project himself as a modern leader caring for the masses. More interesting, he told his interlocutor that he had nothing against the United States. He quoted his May 2006 visit to the US: he had been impressed, especially after exchanging views with some members of Congress in Washington. In a way, Xi Jinping is a true princeling, as the descendants of senior Communist rulers of the First and Second Generation are known (Xi belongs to the Fifth Generation). According to the US cable: “The most permanent influences shaping Xi's worldview were his ‘princeling’ pedigree and formative years growing up with families of first-generation CCP revolutionaries in Beijing's exclusive residential compounds”. Xi believes that he is one of the legitimate heirs of the revolutionary Elders; therefore he deserves to rule over China. Other informants working for the US embassy add that ‘Xi is not corrupt and does not care about money’ and at some point, Xi was “quite taken with Buddhist mysticism, displaying a fascination with and knowledge of Buddhist martial arts and mystical powers”. In February, Reuters quoted some unpublished Wikileaks cables ‘obtained through a third party’. They cover the period from October 2006 to February 2010 and are based on conversations with numerous Chinese sources such as scholars, senior journalists. Reuters’ leaks do not bring out much new stuff. However, one issue which has been neglected by the ‘leaks’ are the tribulations of Xi Jinping’s father, the veteran Communist leader Xi Zhongxun. Born in 1913 in Shaanxi, Xi, the Elder joined the Communist Youth League in May 1926 and the Communist Party of China in 1928. He rose to Deputy Prime Minister from 1959 to 1962 and later Governor of Guangdong from 1979 to 1981. It might be in the life of Older Xi that one can find the direction which China will take after the Eighteenth Congress of CCP in 2012. Interestingly, the world media did seem too interested in the details of Xi Zhongxun’s two lives (the first before 1962 and the second after 1978, with a gap of 16 years in jail or ‘rehabilitation’). The China media has also avoided the issue, but one can understand why. During the first part of his life (mainly between 1949 and 1962), Xi Zhongxun was associated with one of the most remarkable leaders of modern China: Marshal Peng Dehuai. Once the Dalai Lama told me, “he was my favorite Chinese”. Peng was the only person who dared to take on Mao Zedong at the beginning of the Great Leap Forward (according to the latest researches, it led to the death of 65 million people). In the late 1940’s, while Peng was the Commander of the First Field Army whose responsibility was to look after Northwest China, Xi Zhongxun was the Political Commissar. Along with the Second Northwest Field Army (led by General Lui Bosheng and Commissar Deng Xiaoping), Peng’s Army ‘liberated’ Tibet. From that time, Xi Zhongxun was associated with the main Tibetan leaders, particularly the Dalai Lama and the Panchen Lama. During the following years, Xi continued to work closely with Tibet and Peng, he was eventually nominated Vice-Premier of China. It is probably in 1954/55 that he was gifted a Rolex watch by the Dalai Lama who visited Beijing for several months. However, Xi’s fate took another turn during the Lushan Conference of July 1959, when Peng Dehuai, a native of Hunan came back from a tour of his province and decided to speak out on the Great Leap Forward. 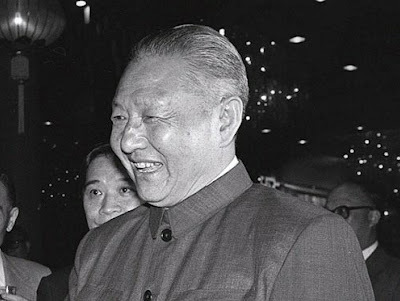 He told Mao in no uncertain terms that China was on the brink of the greatest man-made disaster; as a result he was purged and replaced as Defence Minister by the Machiavellian Lin Biao. 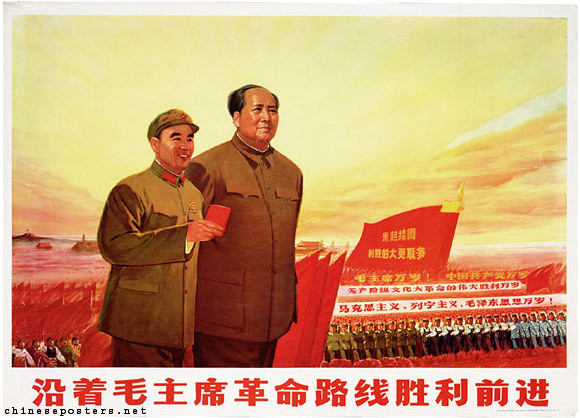 Mao never forgave Peng for having spoken against the Great Leap Forward. Another turn came in September 1962, during the 10th Plenum of the Party's 8th Central Committee of the CCP. Mao, who had remained in the background after the Lushan Conference, decided to come back on the front stage. In one way, the Plenum marked the beginning of a movement which culminated in the Great Proletarian Cultural Revolution four years later. During the Plenum, Mao reemphasized class struggle ‘to prevent the emergence of revisionism’. He denounced 'the members of the bourgeoisie right in the party ranks'. They were accused to try to rehabilitate the intellectuals and the scientists: "the party has not yet properly educated the intellectuals. The bourgeois spirit hangs over like a ghost over their heads." Mao reasserted that the Great Leap Forward was the right thing for China. It was during the Plenum that it was decided to ‘teach a lesson’ to India. The attack on India, two months later was for Mao and his new protégé Lin Biao a way to reassert their supremacy over Peng Dehuai, Lui Shaoqi and Deng Xiaoping. It was also the beginning of the end for the Panchen Lama who a few months earlier, sent his 70,000 character petition to Zhou Enlai detailing the suffering of the Tibetan people between 1959 and 1962. Mao called the petition 'a poisoned arrow shot at the Party by reactionary feudal overlords'. But the first casualty of the Plenum was Xi Jinping’s father. He was ‘fixed’ by Kang Sheng, Mao’s wily Inquisitor under a bogus pretext. His mistake: he had been too close of Peng Dehuai who had dared to criticize Mao. 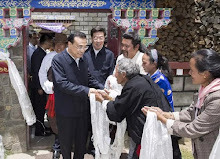 Xi also happened to be in touch with the Panchen Lama. He was demoted and sent into the ‘wilderness’. After his rehabilitation in 1978, Xi Zhongxun became a trusted lieutenant of Deng Xiaoping and Governor of Guangdong. Here, he was responsible for proposing and implementing China's first Special Economic Zone in Shenzhen. This experiment symbolized the new direction of Communist China. Xi is said to have told Deng Xiaoping "We need to reform China and implement this economic zone even if it means that we have to pave a bloody road ahead and I am to be responsible for it." One understands that Xi Junior 'ate bitterness' during the difficult years when his father was out of power. Will Xi Jinping emulate Zhongxun and bring ‘reforms’ to China? It is a billion Yuan question. Xi has to sit on the Zhongnanhai throne first and with the ‘flower’ revolutions spreading on the planet, nothing can be taken for granted in the Middle Kingdom. My article Chinese dams are seeking to outshine the stars in the sky appeared in today's edition of DNA. I have (quickly) translated part of an Op-ed published a couple of days back in the daily Le Monde on the French diplomacy and the tussle between the French President and the Ministry of Foreign Affairs. The statement speaks sadly of the position of France in the world: "[Our] Europe is powerless, Africa escapes us, Mediterranean sulks, China has tamed us and Washington ignores us". When the Minister of Foreign Affairs uses the plane of a friend of Ben Ali to go holidaying in Tunisia when the revolution is raging in the country, does it means that she is not reading the dispatches and cables from her diplomats? Or perhaps the 'diplomats' had not seen the 'revolution' coming? Let us pray for French Wikileaks. As the text in Le Monde states, it is the only way to know what 'our' diplomats and politicians think and do on 'our' behalf. And what about an Indian Wikileaks? It will be fum, I am sure! In the meantime, the Elysee Palace answered the op-ed by saying that it is just an electoral pamphlet. Easy answer, though it will not help solving a real problem for France. A group of French diplomats of different generations, some serving, some retired, of various political persuasions, decided to pen down a critical analysis on the foreign policy of France under Nicolas Sarkozy. By choosing anonymity, they imitated the military-circle group, ‘Surcouf’, who also denounced some of the choices of the Head of the State. The collective nickname chosen is 'Marly' — the name of a café where they first met. Here is their first public text. The scheme is not fooling anyone: when events upsets the presidential stage set-up, State bodies are then made the scapegoats. Indeed, in diplomatic matters, there are many vexations for political authorities! In contrast with what has been trumpeted during the past three years, Europe is powerless, Africa escapes us, Mediterranean sulks, China has tamed us and Washington ignores us! At the same time, our aircraft Rafale and our nuclear industry, announced as future triumphs, remain on the shelf. Worse, the voice of France has disappeared worldwide. Our blind following of the United States has put off many of our partners. During the Cold War, we were in the Western camp, but we could weight on both sides by an original attitude. Today, we joined the United States as shown by our return to NATO, [as a result] we do not interest anybody because we lost our visibility and ability to maneuver diplomatically. This loss of influence is not attributable to diplomats, but the options selected by the politicians [the foreign policy of France is decided by the President of the Republic]. It is clear that the President does not like the government ministry; he looks at them with an overt contempt and tries to blame them for his [failed] policy. Thus, the diplomats are designated as responsible for mishaps of our foreign policy. They reject the trial is done to them. The policy towards Tunisia and Egypt has been defined by President of the Republic without regard to the analysis of our embassies. It was the Presidency who chose Mr Ben Ali and Mubarak as the ‘southern pillars’ of the Mediterranean. A French Wikileaks will demonstrate that French diplomats, like their American colleagues, have written critical texts without concession. If diplomats had been listened to, many errors could have been avoided. [mostly] due to amateurism, impulsivity and media short term ‘effect’. Impulsive? The Union for the Mediterranean launched unprepared despite warnings from the Quai d'Orsay who wanted to change the purpose and method, is affected. Amateurism? By entrusting the Ministry of Ecology preparing the Copenhagen conference on climate change, we ended up with the impotence of France and Europe and an embarrassing failure. Media Concerns? The current tension with Mexico results from exposure of the files which by its nature, must be treated with discretion. Lack of consistency? Our policy in the Middle East has become illegible, get caught up in dead ends and strengthens the maps of Syria. At the same time, our obvious priorities are neglected. It is so French-speaking Africa, now neglected and politically weaned from all bilateral aid. Our foreign policy is under the sign of improvisation and successive impulses, which are often due to domestic political considerations. Do not be surprised by our failures. We are living at a time when the provincial prefects pride themselves on diplomacy, when ‘writers’ conceive grand designs, where networks representing private interests and ‘night visitors’ are ubiquitous and listened. The time has come to react. We must find a foreign policy based on consistency, efficiency and discretion. 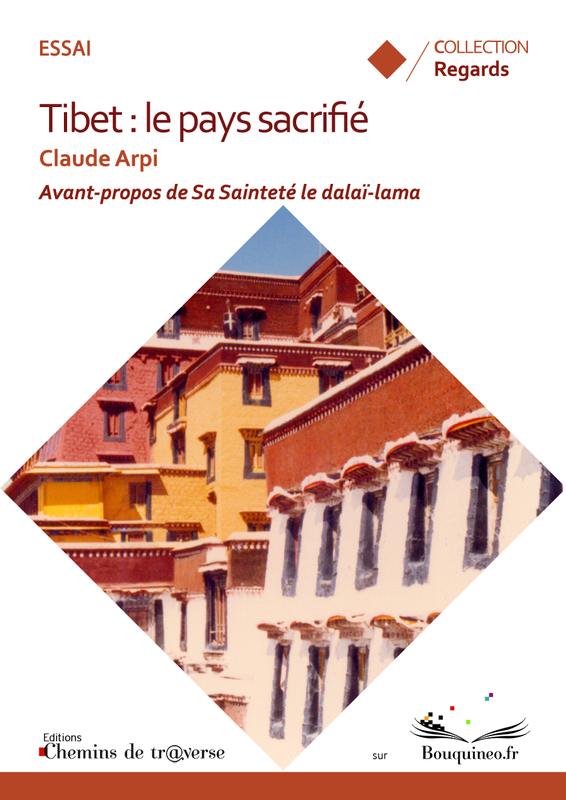 Exceptionally, a posting in French for the release of my book "Tibet, le pays sacrifié" in e-format. Do you know that in recent years China has built some 25,800 large dams? More than any other country on the planet. Unfortunately, there is no free meal: these projects have forced the relocation of more than 10 million people and have caused unimaginable damage to the environment. But in China as well as in India, powerful lobbies work hard to get the government’s green light to recklessly continue the construction of hydropower plants. In the case of China, the know-how is even exported: Chinese banks and dam companies are involved in the construction of some 269 dams in 67 different countries, particularly in Africa and Southeast Asia …and PoK (legally an Indian territory). India does not want to be left behind, the business is too lucrative. A recent BJP report on the functioning of the Congress governments in the Northeast has equated the ‘hydropower project scams’ in Arunachal Pradesh with the 2G scandal. Arunachal Pradesh Chief Minister Dorjee Khandu would have allotted contracts ‘through agreements’. “The MoUs have been signed flouting all procedures and norms set by the Union power ministry,” says the Report., adding that “hydro power projects totaling 70,000 MW and worth Rs 400,000 crore were signed in a short period. Companies with zero business activities and zero experience and with little financial strength had been allotted hydro power projects worth Rs 100 to Rs 1,000 crore”. Whether the allegations will prove correct, only the future will tell, but there is no doubt that in India, like in China, the dam-building lobby is extraordinarily powerful. As a result for several years, not a single major hydropower project was given the green light by Beijing. Now ‘Science’ has taken a U-turn and says build, build, build. The South China Morning Post (SCMP) noted the ‘scientific’ change of wind: “analysts say mainland authorities have clearly pinned their hopes on renewable energy such as wind, solar and hydropower, to help reduce the mainland's reliance on coal amid mounting concern over the country's environmental woes and huge carbon emissions”. Weng Lida, former head of the Yangtze River Water Resources Protection Bureau told the SCMP: “Power companies and planning authorities have apparently gained an upper hand in the debate over hydropower development and used the need to cut carbon emissions and pollution as an excuse to gloss over problems resulting from irrational dam-building across the country." Today, in the name of global warming and environment protection, the dam lobby is able to restart their nefarious activities. China's southwest, particularly the provinces of Yunnan and Sichuan are famed for an abundance of waters, most of the major Asian rivers having their origins in Tibet. The dam builders (often managed by Princelings or children of Politburo members) have been biding their time. With the new policy, scheduled to be announced next month, they will make a killing using the huge hydro-potential of Tibetan rivers; ironically with an ‘environmental’ rationale. The ‘planners’ of the Institute of Water Resources and Hydropower Planning and Design of the Ministry of Water Resources are delighted, they will be able to build enough hydropower stations to reach their 83 million kilowatts target. The temporary ban had resulted in less than one third of the proposed projects in China's 11th Five-Year Plan (2006-10) being constructed. Now, the powerful development lobbies are back with a vengeance. Wang Jian, a river specialist from Beijing who visited sections of the major rivers in December told the Global Times that smaller projects, which do not need Central Government approval, have burgeoned, "They are as dense as the stars in the sky", he said. Some local officials told the Economic Observer, a Chinese weekly considered as one of the best economic publications in China, that 60 tributaries of Nujiang (Salween) will be dammed (42 hydropower projects have been completed and 88 are in the pipeline). Zhang Boting, vice-general secretary of China Hydropower Engineering Society, speaking for the dam builders, said that they are now sure to meet their target, arguing: “Building hydropower stations actually helps protect the rivers and the environment." Many do not share his opinion. Dai Qing, a senior journalist believes that the present trend will show that China is always one step behind the world. "In many Western countries, dam builders are out of favor, but here in China, we are still busy building dams." The most interesting aspect of the current controversy is that several articles appeared in the main stream Chinese media objecting to the construction of large structures on the Tibetan rivers. Wang Yongchen wrote an op-ed in The Global Times: “In the past, hydroelectric power has been assumed to be a clean energy, since it consumes no fossil fuels and emits no pollutants. However, plenty of recent scientific research suggests that the environmental consequences of the construction of dams and operation of hydropower stations are considerable”. He gives the example of the emission of methane, a greenhouse gas resulting from the decaying forests submerged by the higher water level. Many in China still remember the Banqiao Dam. Built on the Ruhe River in 1952 to ‘control’ the Yellow River, it collapsed on August 8, 1975. Though it was designed to withstand a ‘one-in-1,000-year’ flood, it was washed away and 26,000 people died in a few minutes. Later 145,000 people perished from epidemics and famine. The number of people affected by the disaster exceeded 12 million. In 2005, a Discovery Channel program rated the disaster as No.1 on a list of the ‘Top 10 Technological Catastrophes of the World’ before Bhopal. The building of dams on the Salween, Mekong or Brahmaputra has also strategic consequences. Unfortunately in India, the Union Ministry of Power believes that a “timely grant of environment and forest clearances for the proposed hydel projects in Arunachal Pradesh is crucial to ensure India’s right over the Brahmaputra”. This is an absolute legal non-sense for the simple reason that India and China are not bound by a convention or a treaty (like the Indus Water Treaty or the UN Convention on the Law of the Non-navigational Uses of International Watercourses). The facts remains that in authoritarian, as also as in ‘coalition’ governments, dam-builders are kings. In a couple of years, the Prime Minister will probably say that he was not informed, but it may be too late. Who listens when billions of Yuans or Rupees are involved? Money is needed for the next elections, isn’t it? The 10th Plenum of the Party's 8th Central Committee of the CCP was held in September 1962, in Beijing. In one way, the Plenum marked the beginning of the movement which culminated in the Great Proletarian Cultural Revolution a few years later. During the Plenum, Mao retook the upper hand on the Party and his old comrades. He reemphasized class struggle in order to prevent the emergence of revisionism. He denounced 'the members of the bourgeoisie right in the party ranks'. He even attacked his mild Premier Zhou Enlai and Foreign Minister Chen Yi. They were accused to try to rehabilitate the intellectuals and the scientists: "the party has not yet properly educated the intellectuals. The bourgeois spirit hangs over like a ghost over their heads." Mao reasserted that the Great Leap Forward (65 millions of Chinese died according to the latest studies) was the right thing for China. Till the summer of 1962, Zhou and Chen were the two main makers of China's India policy; Zhou was in favour of initiating negotiations with the Indian government on the border issue. This policy abruptly ended during the Plenum; it was decided to ‘teach a lesson’ to India. The attack on India, two months later was for Mao and his new protégé Lin Biao a way to reassert their supremacy over Lui Shaoqi, Chen Yi and Deng Xiaoping. A few months later, after having humiliated India, Mao began to openly denounce the Soviet Union. A series of nine articles against Marxist revisionism were published. One of them was On Khruschev's Phoney Communism and Historical Lessons for the World. He could not do this openly during the Plenum as he was still hoping for the Soviet Union's neutrality in the Sino-Indian conflict. It was the beginning of the end for the Panchen Lama who a few months earlier, had sent his 70,000 character petition to Zhou Enlai detailing the suffering of the Tibetan people between 1959 and 1962. Mao called the petition 'a poisoned arrow shot at the Party by reactionary feudal overlords'. Two leaders later, he was dismissed from all posts and declared 'an enemy of the Tibetan people'. The first casualty of the Plenum was Xi Zhongxun, Xi Jinping’s father. His mistake: he had been too close of Peng Dehuai who had dared criticizing Mao’s Great Leap Forward in 1959. Xi also happened too close to the Panchen Lama. One understands that Xi 'ate bitterness' when he was young. He was 9 at the time of the Tenth Plenum. Mao had reached his Yellow River. He was determined to push on. In the summer of 1962, he emerged from his retreat. When he told me he would call two major party conferences in the upcoming months, I knew that his counteroffensive was about to begin. What I did not know was who would be attacked first. The first party conference, held in Beidaihe on August 6, was a relatively small gathering of leaders at the rank of provincial first party secretary, minister, and above. Mao delivered a speech called Classes, the Situation, and the Contradiction. Mao had spent much of his time in retreat formulating his theoretical justification, in Marxist terms, of the attacks he was about to launch against his own party. He could not simply purge the leaders he did not like. He did not have the power. Like all Chinese leaders, he needed Marxist morality to justify his actions. By relying on Marxist morality, he could mobilize the masses against the leaders he wanted to purge. His justification was the argument that classes do not disappear with the introduction of socialism. Even after the collectivization of property, classes continue to exist, Mao said, and class struggle persists. Contradictions between the bourgeoisie and the proletariat, between the capitalist road and the socialist road, continue too, he said, and so does class struggle. With the Tenth Plenum of the party's Eighth Central Committee that met the following month, in September 1962, Mao's theoretical justification for his counterattack was further refined. Not only do classes and class struggle continue to exist, Mao asserted, but the battle between the proletariat and the bourgeoisie will be protracted and sometimes severe. "In the historical period from the proletarian revolution to the proletarian dictatorship, and in the transitional period from capitalism to communism, which may last several decades or longer, a class struggle between the proletariat and the bourgeois classes, a struggle between the capitalist road and the socialist road, still exists," he said. China was facing a danger of capitalist restoration that had to be fought through relentless class struggle. Still later he would argue that the party itself had become a haven for capitalists. Members of the bourgeoisie were right in the party ranks. His two speeches were filled with invective, and his attacks were wide-ranging. He lashed out against intellectuals, further reversing the conciliatory stance of Zhou Enlai and Chen Yi. A union between intellectuals and workers is premature, Mao asserted. "The party has not yet properly educated the intellectuals. The bourgeois spirit hangs like a ghost over their heads. They are vacillating." He struck out against Peng Dehuai, too. Peng had submitted a lengthy appeal for his political rehabilitation, professing his support for the people's communes and asserting that he had never formed an anti-party group or colluded with the Soviet Union. Instead of accepting Peng's appeal, Mao escalated the charges, accusing him now of having colluded not only with the Soviet Union but with all reactionary forces of the world, including even, he implied, the United States. Peng, Mao said, had been trying to conduct a worldwide counterrevolutionary, anti-communist chorus. There would be no reversal of verdicts on Peng Dehuai or those who had sympathized with his views. Exoneration of the enemy was out of the question. Then he turned his opprobrium against the Panchen Lama of Tibet, denouncing him as "an enemy of our class." Tibet's chief spiritual leader, the Dalai Lama, had fled to India in 1959 when negotiations between the central Chinese government and Tibetan leaders had broken down and many Tibetans had rioted. A crackdown had followed, and the Panchen "Lama, ordinarily subservient to Beijing, was now arguing that Beijing's so-called "democratic reforms" had moved too far to the left. He hoped that the ultraleftist trend in Tibet could be corrected. Li Weihan, the director of the party's United Front, who had supported the Panchen Lama's views, was next to come under Mao's gun. Mao denounced him as a "capitulationist," accusing him of kowtowing to the Tibetan lords and criticizing him for promoting unity between intellectuals and workers. Li Weihan was dismissed from his position. The Panchen Lama was spared, but attacks against him continued. During the Cultural Revolution, the Panchen Lama spent nearly ten years under house arrest. Wang Jingxian, head of the central party offices responsible for liaison with foreign Communist parties, had suggested improving ties with the Soviet Union and Eastern Europe while reducing economic aid to communist parties seeking the liberation of Asia, Africa, and Latin America. Wang was stripped of his power, accused by Mao of being a revisionist. Wang remained in his post, but his substantive responsibilities were transferred to deputy director Zhao Yimin. Mao saw the system of contracting production to rural households as an example of the persistence of capitalism and ordered the practice halted. Advocates of the policy were capitalists and had to be purged. He attacked Deng Zihui and Liao Luyan, the two men responsible for the national direction of agriculture. Deng Zihui, director of the party's Rural Work Department and the man who had been encouraging a more moderate approach to agriculture since I joined Group One in the mid-1950s, was accused of being a veteran rightist of ten years' standing. Liao Luyan, the minister of agriculture under the State Council, who had argued that the mess of the Great Leap had more to do with policy than weather, was labeled a revisionist. Anhui's Zeng Xisheng was among the first of the local leaders to be purged, just after the meetings concluded. The province's successful agricultural experiments were brought to an end, and agricultural production in the already poor and suffering countryside plunged further still. Ge Man, the party secretary of Linxia prefecture, in Gansu province — a rival with Anhui for the dubious honor of poorest province in China — was next on Mao's list. Ge Man had introduced the contract responsibility system into Linxia prefecture and the results had been good. Agricultural production had increased. Gansu provincial party secretary Wang Feng, attributing the widespread hunger and poverty in Gansu to the formation of people's communes, fully supported Ge Man in his experiments. Mao accused both men of being "capitalist roaders," but only prefectural chief Ge Man was purged in 1962. Wang Feng did not lose his position until August 1966. When the Cultural Revolution began, he was among the first three people to be labeled by Mao as "counterrevolutionary revisionists." Ge Man suffered renewed attack at the same time and committed suicide. The autumn of 1962 was a turning point for Mao and the party. Mao's insistence that classes persisted even under socialism effectively silenced the voices of reason, voices of potential dissent. The spirit of openness and daring that had characterized the 7,000 cadres' conference was reversed. Those who had the good of the country at heart, who believed that agricultural production would best be served by taking responsibility for agricultural management out of the hands of the collectives and the cadres and giving it back to the peasants, dared not push their views. Mao's arguments about classes and class contradictions provided the theoretical underpinnings for all the purges that followed, culminating, in 1966, with his Great Proletarian Cultural Revolution. To disagree with the Chairman was to risk becoming a counterrevolutionary and a "capitalist roader," and for Mao there was no greater crime. The purges continued after the September 1962 Tenth Plenum, and the man Mao put in charge was Kang Sheng. Kang Sheng was a longtime party member and had been with Mao in Yanan. Indeed, it was said that Kang Sheng had sponsored Jiang Qing's membership in the party and arranged for her to go to Yanan, where she met and married Mao. Kang Sheng and Jiang Qing were both from Shandong province and their close relationship went back long before the revolution of 1949. I first met Kang Sheng in 1958. He had not been actively involved in politics after 1949. He had been hospitalized sometime around the communist takeover and was not released until the beginning of the Great Leap Forward, when he became one of its most vocal supporters. My friends, doctors responsible for his treatment at Beijing Hospital, told-me he was suffering from schizophrenia, and I do not know why he was finally released. My contact with him was minimal-and strained. I saw him visit Mao occasionally, but their meetings were always private, and Kang Sheng never indulged in the same small talk, the easy give-and-take, of other leaders who visited the Chairman from time to time. He and Jiang Qing became particularly close after 1966, during the Cultural Revolution, and they occasionally asked me to join them to watch Jiang Qing's favorite American movies. Jiang Qing was always solicitous and respectful of Kang, more solicitous than I ever saw her with anyone else. She asked his opinion on everything and took his answers to heart. She called him Kang Lao, one of the most respectful and affectionate forms of address available in the Chine se language. He was the only person to whom she ever accorded such an honor. I usually tried to avoid Kang Sheng, sensing in him some deeper evil that I could never fully explain. He had the look of deceit about him. Even his photographs, I think, convey an air of evil. I associated him with the dark side of the party, with all the dirty work that had to be done, delving into people's pasts, finding new enemies, suggesting new targets for attack. I did not want to be part of that, nor would Mao have wanted me to be. There was much that I never knew. Kang's political activities picked up after the Tenth Plenum. When Mao attacked Vice-Premier Xi Zhongxun, accusing him of supporting the rehabilitation of Gao Gang and of being anti-party, he put Kang Sheng in charge of investigating "the Xi Zhongxun anti-party plot." Kang Sheng's investigations implicated more than three hundred cadres from the party, government, and military, including Central Committee member Jia Tuofu, Ma Wenrui, the minister of labor under the State Council, and Bai Jian, vice-minister of the State Council's first ministry of machine building. I knew Xi Zhongxun well, and the charges against him and his supporters were fabricated. But Kang Sheng's job was to depose and destroy his fellow party members, and his continuing "investigations" of ranking party leaders in the early 1960s laid the groundwork for the attacks of the Cultural Revolution to come. Many casualties followed immediately in the wake of the Tenth Plenum. Vice-Premier Xi Zhongxun was sent down to Henan and later put under house arrest. He remained in political disgrace until- 1980. Many of the three hundred people falsely implicated suffered similar fates. Mao also began trying to reassert control over agriculture following the Tenth Plenum, halting the trend toward private farming and trying to prevent what he saw as a capitalist resurgence. The process was slow, and the question of what had gone wrong with the Great Leap Forward was forgotten. Not until May 1963, at a meeting of the politburo and secretaries of the regional bureaus in Hangzhou, was Mao victorious. It was then that his draft Resolution on Certain Problems of Rural Work at the Present Time was discussed and passed. The resolution asserted that both feudal and capitalist forces were attempting to stage a comeback in the Chinese countryside, leading to sharp class struggle in the rural areas. Mao's solution to the problems was to launch what he called a "socialist education campaign" in the Chinese countryside class enemies had to be properly identified and brought to task, and local cadres and peasants had to be educated in socialism and class struggle. From the protective bubble of Group One [Bodyguard regiment around Mao], I still knew little about what is going on in the Chinese countryside — except that the Great Leap had been a catastrophe and recovery from the famine was slow. I did not understand Mao's socialist education campaign. Sitting on the train after the May 1963 Hangzhou meetings, talking to Wang Dongxing and Lin Ke, just before he left Group One for good, I questioned the policy. Just when, communes were successfully restructured and peasants seemed to be getting back into a more reasonable routine, Mao wanted to stir things up again, I pointed out. He was calling on teams of urban cadres to go down to the villages to check into the economic and financial conditions of the people's communes. The presumption was that many of the local cadres had become corrupt during the famine. The city teams would both get a firsthand understanding of the hardships in the villages and act as outside investigators into cadre corruption in financial accounting, food distribution, property divisions, and the system of how commune members were paid. China is bound to become a new Sahel. That is why Beijing is looking at Tibet's waters to save China. Read my earlier posting on Gua Kai. In the meantime, the wise men of Bharat say:"They won't do it". Liu Tuo, who leads China's efforts to tackle the problem, said investment was "seriously insufficient." More than one quarter of China is either covered by desert or is land that is suffering desertification. The process is often caused by overgrazing and other unsuitable farming techniques. Authorities worry that expanding deserts could put crops and water supplies in the world's second largest economy at risk. But the official leading China's efforts against the problem said not enough was being done. Liu Tuo said there was a "huge gap" in the country's efforts, adding that at current rates it would take 300 years to reclaim land which has recently become desert. "There is about 1.73m sq km (0.67m sq miles) of desertified land in China, and about 530,000 sq km of that can be treated," he said. "At our present rate of treating 1,717 sq km a year, I've just calculated we'll need 300 years." He also warned that global warming could exacerbate the problem by causing drought. Most of the desertification in China happens on the fringes of the Gobi Desert which lies in the west of the country. 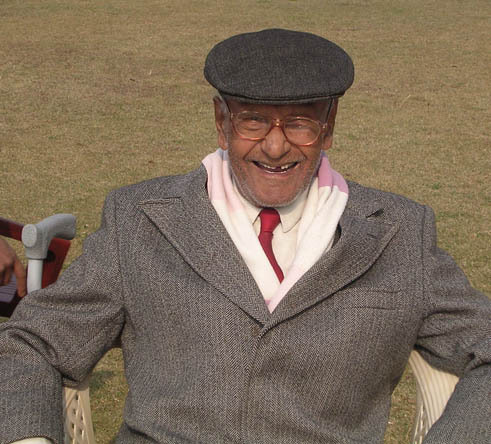 I have just been informed that Khwaja Abdul Wahid Radhu passed away on February 14, 2011. He was between 92 and 94 according to official records and family lore respectively. 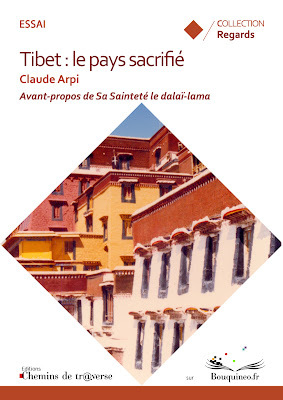 He had a great life closely linked to the history of Modern Tibet. In the 1940's, he became friend with Bapa Phuntso Wangyal, Amdo Gedun Choepell and many others. His son, Prof. Siddiq Wahid, till recently Vice-Chancellor of the Islamic University of Science and Technology in Avantipura (Kashmir) says: "His intellectual legacy to us is one of always saying a loud 'yes!' to life, avoiding self-indulgence of any kind and never compromising with political injustice. His passing away was both peaceful and beautiful; he 'breathed his last' with amazing awareness." I personally believe that he was a sufi master, like his grand-father. A couple of years ago, I went to Srinagar to meet him and later wrote a long article on his most remarkable life. I am copying here the first paras. The link to the entire article is given at the end. Some encounters are different. The one with Abdul Wahid Radhu will always remain very special for me. One of the reasons might be that for the past twenty years or so, I read a lot about him and hoped to meet him one day; however circumstances and 'life' (or karma) had not permitted it. Despite (or because of) his advanced age, this human being — very few such beings still exist today in our world of narrow-mindedness — who has been one of the last caravaneers of Central Asia and Tibet, can today look at his life and the historical events which changed the face of Asia with a certain detachment. Abdul Wahid had the privilege to witness and even sometimes to be an actor in dramatic events that not only marked his native Ladakh for ever, but also the entire sub-continent, as well as Tibet and the whole Asia. Born in Leh in the province of Ladakh of the Jammu and Kashmir State, Abdul Wahid Radhu received his higher education from the Aligargh Muslim University where he lived in the midst of intellectual and emotional ferment; he saw the first ripples of the movement which was to shake the entire sub-continent: the creation of Pakistan, or the Partition of India into two separate States, forever enemies since then. 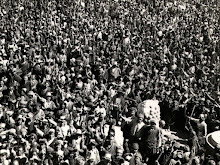 The young Abdul traveled with the one of the last caravans paying tribute from the Kings of the Ladakh’s tribute to the Dalai Lamas in Lhasa every three years The educated Ladakhi was present in the Tibetan capital when the Chinese invaded the Roof of the World, supposedly "to liberate” the Himalayan nation from imperialist influence. He was then a friend with the Dalai Lama’s family and most of the Tibetan aristocratic families. He was very much a part of the Tibetan Muslim community, very liberal and in many ways remarkably integrated with a Buddhist Roof of the World. Abdul Wahid also had the occasion to exchange ideas and share the aspirations of a group of young Tibetan rebels living in exile in Kalimpong in North India in the forties. They wanted the Roof of the World to participate to the new world stake as they had realized that the world was changing rapidly; they all dreamt of a modern and more democratic Tibet. He related to us his exceptional life. It is during the 18th century, Sheikh Asad Abdul, the ancestor of Abdul Wahid migrated to Ladakh and established a trading house. It is said that a Persian inscription on the Sunni mosque in Leh mentions his name. Asad Abdul’s father, Sheikh Muhammad Radhu was an important religious personality of the Kashmir Valley. The tradition reports that he would have been the one who deposited a hair of the Prophet in the famous Hazratbal mosque in Srinagar. Abdul Wahid says that the Radhu family can trace its ancestors to a family of Kashmiri Pandits. They were known as the Trakru before converting to Islam. Sheikh Asad’s son, Faruq Radhu became the first caravaneer of the family. Thanks to him, the name of Radhu acquired a great notoriety on the tracks and trails of Central Asia and Tibet. 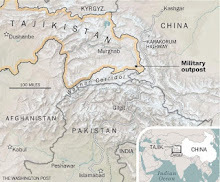 At the same time, others branches of the family began to open businesses beyond the Karakoram pass, in Kashgar or Yarkand in Eastern Turkistan . Most of them married in these distant regions and got integrated in the local society. The Radhu’s blood began flowing in many towns and trading centers of Central Asia and Tibet. Apparently, a branch of the family still resides in Xinjiang today, a few remain in occupied Tibet, while another lives again in the Kashmir Valley where we met Abdul Wahid. While Faruq Radhu’s two elder sons, Haider Shah and Nasr Shah decided to settle in Ladakh, another brother left for Tibet where he married a Muslim Chinese girl. The relations, mainly business ones, between the cousins living in Tibet and the Ladakhi branch remained close; the family continued thus to spread and prosper. Haider Shah’s son, migrated to Tsetang, a small town situated south of Lhasa and married a Tibetan Buddhist. In Leh, the Radhus were an envied lot. They owned the most beautiful properties and their coveted merchandises from all corners of Asia filled up their warehouses. It is in this cosmopolitan environment that the young Abdul Wahid grew. Several of his close relatives served the British Administration or the Maharaja of Kashmir, though there were always two divergent opinions in the family: while some thought that it was necessary to give to the children a ‘modern’ education, in other words a British education, others believed that a more traditional training as of caravaneer and trader was enough to carry on with the family trade. Ataullah "mounted it, rushed, and fast as an arrow, he disappeared in a bend; suddenly he appeared in the opposite direction, driving at a staggering speed, until he came back to us. His demonstration stunned me." Abdul had begun his discovery the world; he would soon be initiated to a myriad of new things such as electricity, telephone, radio transmission, movie and even motor vehicles. Abdul remembers now that after a few days, he was already used to it. Today the wise man says, "It is only inner discoveries that one never tires of". Ataullah, who for the past two years had attended a high school managed by the missionaries in Srinagar, quickly initiated the young Ladakhi to his new life. It should however be mentioned that very few youngsters from the high Himalayan mountains where timelessness ruled life, had the opportunity to attend western schools. The two cousins were a rare exception. During their childhood years in Ladakh, their contact with ‘outside’ was extremely limited. Beyond the massive ranges there were usually only tracks and tracks again. In Lhasa, the situation was slightly different. As the Muslim community was larger, madrassas (primary Koranic schools) were opened. The students were taught about the Koran and the pillars of Islam, particularly how to offer namaz (prayers). Apart from Tibetan language, Urdu was part of the main curriculum. Before the Chinese invasion, there were two madrassas in Lhasa and one in Shigatse. Like their young colleagues in Srinagar, the Kache students were sent to India to join institutes of higher Islamic learning such as Darul-Uloom in Deoband, Nadwatul-Ulema in Lucknow or Jamia Millia Islamia in New Delhi. Researchers have found the attendance of two foreign students: a Burmese and a Tibetan, in the 1875 Annual Report of Darul-Uloom Institute. Jamia Millia Islamia received its first batch of Tibetan students in 1945. The difference between the Kache youth and our Ladakhi friends was that the latter had attended a Christian Missionary school in Kashmir and had received their primary education in English. When Ataullah left Srinagar to enter Aligarh University, the blow was hard for Abdul Wahid. At first, he had no choice but to get use to his lonely schoolboy existence though he finally made some friends. It is symbolic of Kashmir before the venom of separateness entered the Valley, that the principal of the Christian school was a Brahmin octogenarian, the respected Pandit Shankar Kaul. The Himalayan children were taught not only Urdu language, but Persian literature as well. The school however insisted on the importance of the English language as a medium. Abdul remembers: "The history courses were centered on England and the British empire. In a way, it was organized to make of us all good servants of the British." As often with the Ladakhis, the young Abdul did not have an easy rapport with his Kashmiri schoolmates, though they belonged to the same Muslim faith. Most of his friends were, like him, natives of the highlands such as Gilgit, Hunza, Astor or Punyal . There was a deep solidarity and camaraderie between the ‘Himalayans’ who had come from regions so unlike the rest India or even the Kashmir Valley. Their way of thinking, of eating, of behaving, the way they perceived the world was simply different. What his grandfather had dreaded was fast happening: "At that time, all of us went through a very strong attraction for the West, the ‘modern world’… We were anxious to dress like Europeans and for most of us, the highest ambition was to join one day the British administration. Waiting for that day, our uppermost dream, the greatest privilege of all, was to be on the list of those who every year were selected to go London with a scholarship granted by the Government of the Maharaja. For us, England was at the center of all our thoughts." While he prepared his entry examination to Aligarh Muslim University, Abdul one day received the news that his grandfather was dying. Although the results were awaited any day, he had no choice but to leave immediately for Ladakh and thanks to his family contacts, he could use the ‘express way’ of the postal services. In seven days, he was in Leh. Being the only male descendant, his grandfather thought that Abdul Wahid would now take care of the family heritage and business. Decades later, Wahid wrote: "When Haji Muhammad Siddiq was alive, we did not realize fully the inestimable values that he embodied; often we did not listen to his advices and sometimes we even deliberately opposed his ideas and his principles. Indeed, we were all in love with western modernity." 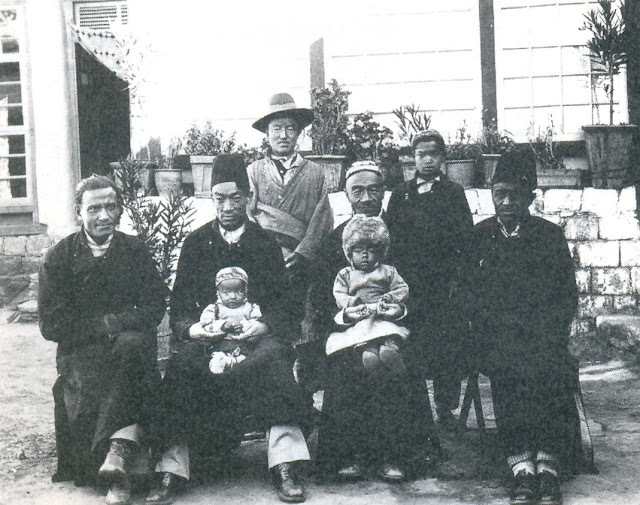 Muhammad Siddiq died in May 1937, a few days after his grandson had reached Leh. The old man left his terrestrial sheath like the wise Sufi he was. With a perfect lucidity, he told his entourage: "Now my sight is dissipating, my sense of smell slowly disappears. The last moment approaches.” He asked for his grandson who, too frightened by the proximity of death, did not immediately come to his bedside. Decades later, Abdul wrote: "I often wondered if Haji Muhammad Siddiq did not wanted to transmit me a tradition, maybe of initiatory character, for he was connected with the Tariqa Chishti, the Indian Sufi Brotherhood. Maybe also it was his intention to teach me to recite a special prayer". Later, Abdul Wahid while emptying the attic of their Leh residence found one of these Sufi texts. Since that day, he daily recites it: "to try to make amends for the mistake committed by not replying to the patriarch’s ultimate call." The death of Muhammad Siddiq was for the family the beginning of the end of the epoch of the great caravans; it was only a question of some years before the century-old tradition completely disappeared. Soon disputes erupted between the different members of the clan; nothing would be like before. The world around had began to spin faster and faster and the remote Himalayan valleys were not spared. This was the time when the Valley of Kashmir saw its first ‘democratic’ movements led by a charismatic leader called Sheikh Mohamed Abdullah who was to play an important political role during the following years. At the end of the thirties and early forties, the Muslim population of Ladakh was an integral part of the society; they still lived in harmony with the followers of the other religions, primarily the Buddhists. In many ways they embodied a symbiosis of Buddhist and Islamic cultures. When one meets Abdul Wahid, one realizes that his immense admiration for his grandfather was due to the fact that Muhammad Siddiq was the perfect example of a typically Ladakhi combination. The old caravaneer was both a Tibetan by race and culture and a Muslim by religion: "His face, his clothing, his behavior, the way in which he had furnished and decorated his house where everyone was welcome, were Tibetan. He always appeared dressed in a gown similar to the Tibetan one, but as a headgear he wore a white turban." Wahid adds: "In addition, and this may have appeared unbelievable in an Indian society compartmented by classes, there were marriages between families of the two communities. " Having passed successfully his entrance examination and after some months spent in the enchanting surroundings of Leh, the young Wahid decided to join his cousin in Aligarh. A new life was beginning for him. In Aligarh, Abdul Wahid discovered the tremendous influence of Western thought in Indian Islam. Much later, the young Ladakhi realized that the religious beliefs of leaders of the Muslim University, wanting to project themselves as tolerant towards Christianity and modern ideas, "remained in reality superficial and incapable of guaranteeing the preservation of our cultural identity in front of the intellectual enticements of the West." In the room that he shared with his cousin, he often participated in long discussions on the meaning of ‘modernity’ and what he conceived then to be "the summits of the human thought." These western influences reigned supreme amongst intellectual Muslims of that time; for them the British civilization represented the peak of societal evolution. Ironically, it was the same intellectuals who were at the origin of the concept of Pakistan, a ‘separate and modern State’ for the Muslims in the sub-continent. One of the characteristics of the teaching of Aligarh was a "constant usage of Western thought as reference.” Wahid explains that for these intellectuals, Western thought offered the deepest criteria to judge the validity of any knowledge, even when it came to the understanding of philosophies flowing from typically Eastern reflection or similarly for Islam. The main mentor or intellectual leader of the University was Muhammad Iqbal. Although considered by many as the most important Muslim reformist of the 20th century, he is viewed by others as the spiritual father of Pakistan. Abdul feels that Iqbal "favoured of a form political activism among the Muslims, thereby contributing to popularize the idea that they constituted a nation separate from the other communities living on the sub-continent." He adds "his prestige was considerable among my generation’s students. 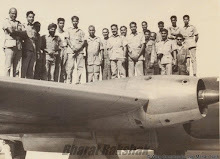 As early as 1947, many of them declared themselves Pakistan nationals. For their career, they left their native regions in India for the newly formed State of Pakistan." He still believes that the main preoccupation of most of the history and philosophy professors was to reconstruct or rewrite the religious thought of Islam. They considered it necessary to ‘reinterpret traditional Islam in a modern way’. Abdul said that they commented "with sympathy of the theories of a Nietzsche, qualified by them of ‘modern prophet’, of a Bergson and even of a Freud." Many years later, while the Ladakhi served the Dalai Lama, who had left Tibet to take refuge in India, Abdul Wahid learnt than the Tibetan leader had also studied western philosophers such as Kant, Nietzsche or Bergson. He sent him a note: "These philosophers are henchmen of the devil. For God’s sake, Your Holiness, please realize the level of lowness they are in comparison with the timeless wisdom Your Holiness represents." Click here to read the entire text of my article on Abdul Wahid Radhu. The ‘Affaire Karmapa’ seems to have come full circle. G.K. Pillai, the Home Secretary assured a delegation of Buddhist leaders from the Himalayan region that the Government of India does not consider the Karmapa as a spy. Pillai also advised the delegation to press on the Karmapa to make sure his staff dutifully follows the Indian system of accounting and hires a proper Chartered Accountant. I am happy that the conclusions I had arrived at in my first article in Rediff.com (The Karmapa story: Right intentions, bad accounting) have proved correct. The ‘tabloid’ TV channels are greatly responsible for it. Once again they have shown that they are totally irresponsible. It is frightening to think that most of the information offered to us by these channels is just plain falsehood. it is sad that the Prime Minister chose to answer questions from the same great editors during his recent Press Conference. It does not speak very highly of the people handling the Prime Minister’s communication (if there are any). The written and electronic press, with the exception of a few, has been more responsible. The Dhumal government has come out in a poor light, principally the DGP who did not miss an occasion to run to the same TV channels to break some news or another, mostly unfounded allegations fed by the Shamar side. It is surprising that the BJP leader (Dhumal) could not see that feeding false charges against the Karmapa, would only upset the Buddhist populations of his Himalayan State. Why should they vote for him during the next elections? Dhumal has made bad (and unethical) political calculations. It also speaks poorly of the BJP national leaders who always pretend to support the Tibetans, particularly LK Advani. He shoud have intervened to cool down the Chief Minister and his Police Chief. The problem of the benami land purchase remains unsolved in Himachal Pradesh. One can only hope that the HP government will now apply its mind to find a reasonable solution. Since a long time the Dalai Lama has been asking Simla to look into the issue, which is not an easy one, but as I mentioned in an earlier posting (Almost every tourist property is owned by non-Himachalis) there can’t be double standards (one for Tibetan refugees and one rich Punjabis). From the start, I said that a modern religious leader has to look into ‘secular’ affairs and the young Karmapa should take interest in the day-to-day administration of his labrang (monasteries and trusts). There is no way out. Considering that the intelligence agencies are keeping a close tap on the Karmapa for the past 11 years, they should it bring to his notice when something goes wrong or if some elements around him do not behave properly. The Karmapa should make greater efforts to come in touch with the ‘common man’ of HP and India. He should employ knowledgeable Indians to advise on ‘secular’ matters and the laws of the country where he has taken refuge. He should also try to meet national leaders whenever he passes through New Delhi or when leaders visit HP. A positive point: after the remarks of the Home Secretary, I am sure that the Trust of the Karmapa will be allotted a FRCA number, allowing him to keep proper records of foreign donations. If this incident had not happened, the Trust would have probably had to wait for years before getting its registration. Now, the ball is in Mr Pillai’s Court to recognize the Karmae Garchen Trust set up in 2006 (contrary to what Mr Pillai said, an application under the FRCA was filed in November 2010). Senior journalist Sunanda Datta-Ray recently complained that the ‘breaking the news’ channels were nowhere to be seen when hundreds of people of the Himalayan region organized a prayer meeting in Jantar Mantar in Delhi: “I saw nothing in the media about this dazzling show with a serious purpose. Why? One of the organisers had a pithy explanation. “The media doesn’t believe in the power of prayer, they would have taken notice if we had thrown stones!” wrote Datta-Ray. The fact that the name of Karmapa was cleared a few days after the meeting tends to demonstrate that prayer can still be powerful, even if the news channels are not aware of it. Smt. Spalzes Angmo, Buddhist Member in the National Commission for Minorities (NCM) led a nine member delegation of Buddhist leaders and monks from Sikkim and Ladakh to the Home Secretary, Mr. G.K. Pillai at North Block on 16th February, 2011 at 4.30 pm. 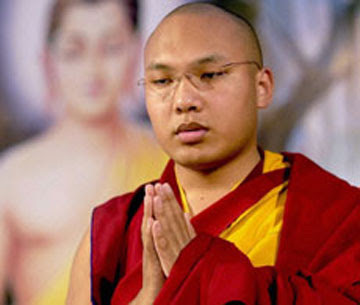 The delegation pressed upon the Home Secretary that the sentiments of the Buddhist community of Ladakh, Sikkim and Arunachal Pradesh were deeply hurt by the allegations levelled by the media, intelligence agencies and state government of Himachal Pradesh that His Holiness the 17th Karmapa was a Chinese spy. They further added that the people of the Himalayan region are nationalists and patriotic to the core and have fought wars on the borders to defend their motherland. The Home Secretary assured the delegation that the Centre did not regard His Holiness the 17th Karmapa to be a Chinese spy and that the office of His Holiness the 17th Karmapa should be advised to have knowledge of the existing laws and to hire Chartered accountants to manage the funds in a proper manner and register the trust under Foreign Contribution and Regulatory Act (FCRA). After the probe it was found that the cash received was part of donation and offerings. The Delegation had earlier met the UPA Chairperson Madam Sonia Gandhi on 12th February, 2011. UPA Chairperson had assured the delegation that she would look into the matter so that the sentiments of the people would be assuaged. In the light of the above, Smt. Spalzes Angmo would like to thank the UPA Chairperson, Madam Sonia Gandhi Ji, Union Home Minister Shri P. Chidamabaram and Shri G.K. Pillai, Union Home Secretary for respecting the sentiments of the Buddhists community of Ladakh Sikkim and Arunachal Pradesh by giving a clean chit to His Holiness the 17th Karmapa Urgen Thinley Dorje and for restoring the dignity of the Karmapa institution. This would go a long way in keeping the unity and integrity of the country alive. A recent BJP report on the functioning of the Congress governments in the Northeast has equated the ‘hydropower project scams’ in Arunachal Pradesh with the 2G scandal. It says that “hydro power projects totaling 70,000 MW and worth Rs 400,000 crore were signed in a short period. Companies with zero business activities and zero experience and with little financial strength had been allotted hydro power projects worth Rs 100 to Rs 1,000 crore”. Whether the allegations will prove correct, only the future will tell, but there is no doubt that in India, like in China, the dam-builder lobby is extraordinary powerful. As this article published in the ‘official’ Global Times shows, these lobbies have been able to revert the decision taken by Premier Wen Jiabao in April 2004; Wen had then given an assurance that the large hydropower plnats (on the Salween to start with) will be “seriously reviewed and decided scientifically.” As a result between 2008 and 2009, not a single major hydropower project was given the green light by Beijing. Now ‘Science’ has taken a U-turn and says build, build, build. A recent article in the South China Morning Post (SCMP) noted the ‘scientific’ change of wind: “analysts say mainland authorities have clearly pinned their hopes on renewable energy such as wind, solar and hydropower, to help reduce the mainland's reliance on coal amid mounting concern over the country's environmental woes and huge carbon emissions”. But who will listen when billions of Yuans or Rupees are involved? In authoritarian, as well as in ‘coalition’ governments, the dam-builders are the kings. The Indian Prime Minister will say that he was not informed. This ‘scientific’ turn also shows that Premier Wen is already on his way out. On the night of August 18 last year after days of torrential rain had soaked the steep mountain slopes, a mudslide struck a remote village in the northwest tip of Yunnan Province, killing 92 villagers. "I was woken up in the middle of the night by a loud bang of rolling rocks and I ran outside with my family," 27-year-old villager Yu Lichun told the Xinhua News Agency the next morning. "When we reached the road, the mud was already up to our knees. It was lucky all my family made it to safety." Others were less fortunate: Another villager Zhou Shunfang told the Yunnan Information News she lost eight family members to the slide. Although officially cleared of any wrongdoing, an iron mine that sits too close to the riverbed two kilometers upstream on a tributary of the Nujiang River was blamed for blocking the river flow and causing havoc. Large mining machinery including 40 trucks from the plant was swept away into the river. "When morning light broke, we could only see the tip of the mine in the floodwater," He Shilong, a villager who lived across the river, told Xinhua. The mud flow - up to five meters thick - carried 600,000 cubic meters of debris and inundated homes and roads in an area of nearly seven square kilometers. Upstream from the debris, river levels were six meters higher than normal. The site of a 300-meter-high dam in the early stages of planning 30 kilometers downstream at the Maji hydroelectric plant on the Nujiang River, remained largely intact. Days after the deadly mudslide, the government of the Nujiang Prefecture found 750 mudslide-prone sites of about 20 square kilometers each in its 14,700-square-kilometer territory. Less than six months after the tragic night, a two-story high rock that had been swept down from the mountains during the mudslide, was placed at the center of a memorial site for the lives buried under the debris. "You have to stand in awe of the power of nature," said Guo Yuhua, a sociologist from Tsinghua University who visited the site in early December. "We humans must be out of our mind, wishing to harness nature." China's southwest, loosely known as the greater Shangri-la region, is famous for its water. 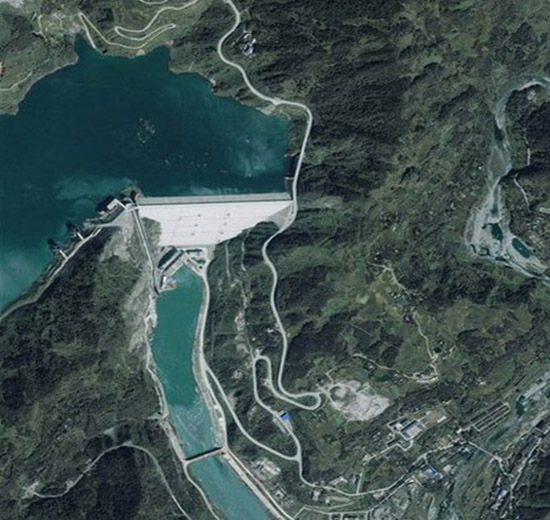 For years hydropower companies in China have been eyeing the potential of rivers here, generated by steep drops in elevation along their course. Attempts to penetrate the region have been foiled over the last five years by the country's en-vironmentalists effectively lobbying the government to tighten its approval policy. Between 2008 and 2009, not a single major hydropower project was given the green light by Beijing, resulting in less than one third of proposed projects in the nation's 11th Five-Year Plan (2006 - 10) beginning construction. With large hydroelectric projects on ice, smaller projects that do not need State Council approval have multiplied on the tributaries in the Southwest. "They are as dense as the stars on the sky," said Wang Jian, a river specialist from Beijing who visited sections of the major rivers in December. Sixty tributaries around the Nujiang Prefecture have been dammed, local officials told the Economic Observer in April. Forty-two hydropower projects have been completed. Another 88 are in the pipeline. "These sub-standard small hydroelectric stations can trigger landslides and are a great threat to the local ecological system," Wang said. His worries are shared by Yu Xiaogang, a renowned river management specialist and founder of the non-governmental group Green Watershed in Yunnan. Yu is known for his successful campaign over the years to protect the trunk of the Nujiang River from being dammed. In his view, building dams on the Nujiang River can trigger not only mudslides, but earthquakes. "The Nujiang River valley sits right on a fault line," he said. "Building dams disturbs the mountains and is very risky." A potentially deadly link between the earthquake in Wenchuan in 2008 and the Zipingba Dam just 17 kilometers from the epicenter has been pointed out by Fan Xiao, the chief engineer of the Sichuan Geology and Mineral Bureau in Chengdu. 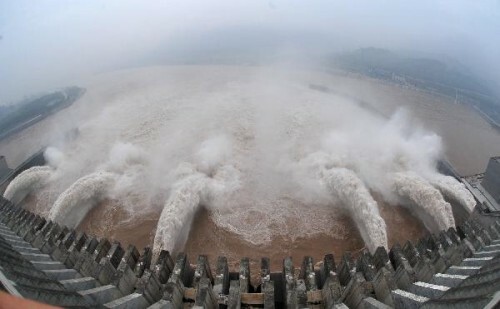 Fan fears history repeating itself as the four Nujiang River dams downstream from the prefecture seat of Liuku are within a high-frequency earthquake zone. As the 12th Five-Year-Plan for 2011-2015 approaches, environmentalists fear the government may lift the ban on large dams. The approval on July 8 of the long-stalled construction of Jin'anqiao hydropower station on the Jinsha River, upstream of the Yangtze River, and the Zangmu hydropower station on the Yarlung Zangbo River in the Tibet Autonomous Region, has been widely interpreted as a clear signal. The target is to construct hydropower stations with an installed capacity of 83 million kilowatts, according to the Institute of Water Resources and Hydropower Planning and Design for the Ministry of Water Resources. leading advocate for China's dam builders. "Over the years, it has become clear that the accusations from the environmentalists are not based on facts. "Building hydropower stations actually helps protect the rivers and the environment." China's pledge to generate 15 percent of its power from non-fossil fuel sources by 2020 will inevitably play a significant role in the government's thinking about hydropower projects. "China's stance on large hydropower projects goes with the pressure from the International community for us to keep to our promise on carbon emission reduction," Zhang said. Lifting the ban on hydropower projects for the sake of reducing carbon emissions is too big a sacrifice to make, environmentalists argue. "If the government approves the target, it means we will build one Three Gorges Dam every year for the next five years," Yu said. Dai Qing, a veteran journalist and author from Beijing, believes that what's going on in China shows that China is always one step behind the world. "In many Western countries, dam builders are out of favor," she said. "But here in China, we are still busy building dams." When the country's legislators meet on March 5 for the annual National's People's Congress, environmentalists know it will probably be their last chance to raise concerns about the dam boom in southwestern China. "We are very concerned about the rush to build so many hydropower stations across almost every river in the Southwest," said Wang Yongchen, founder of Green Earth, a leading non-governmental group specializing in the protection of China's rivers. "This is overexploitation and chaotic exploitation." An emergency report is being drafted and a separate letter to Premier Wen Jiaobao is also nearing completion. "We need to bring the decision-making process into the sunlight," Yu said. "The public has the right to know the risks of some projects of our 12th Five-Year Plan." On August 9, 1960, the newly-built Qiaodun Reservoir in Zhejiang Province collapsed during a typhoon. Built and sealed in a rush in March that year, the dam had stood at 39 meters tall, three meters above the water level when a typhoon hit in early June. Locals were hastily mobilized to elevate the height of the dam. Then when a second typhoon hit on August 9, the dam collapsed, killing at least 500 people. Some records say the death toll was 4,000. After the flood, the 100-year-old town of Qiaodun was afloat with corpses. On August 8, 1963, after a week of heavy downpours in the upper reaches of the southern branch of the Haihe River, Liujiatai Dam, built in 1958 at the height of the Great Leap Forward near Baoding in Hebei Province, collapsed in a "one-in-20-year" flood. In 30 minutes, 40 million cubic meters of water at a rate of 28,000 cubic meters a second, rushed out of the reservoir. 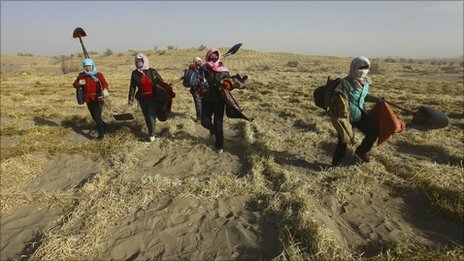 Some 948 people were killed, 67,000 houses damaged and more than 1,400 hectares of farmland destroyed. On July 31, 1971, the nine-month-old Hutai Reservoir in Fushun, Liaoning Province, collapsed during a "one-in-60-year" flood, killing 512 people. At a height of 21 meters and storage capacity of 4.6 million cubic meters, the reservoir had allegedly been designed to withstand a "one-in-500-year" flood. On August 8, 1975, Banqiao Dam, built on the Ruhe River in 1952 at Zhumadian, Henan Province as part of a flood-prevention and electricity-production program aimed at controlling the Yellow River, collapsed. At a height of 118 meters and with a storage capacity of 492 million cubic meters, it was designed to withstand a "one-in-1,000-year" flood. The Shimantan Dam on the Honghe River, the second-largest in the flood-prevention system, and two other smaller reservoirs also failed that day: 26,000 people died in the floods, according to the official death toll. After the flood receded, 145,000 people died from epidemics and from famine. Some estimates put the total death toll at more than 220,000. The number of people affected by the disaster exceeded 12 million. A Discovery Channel show on May 28, 2005, rated the Banqiao Dam collapse No.1 on a list of the "Top 10 Technological Catastrophes of the World," beating the Bhopal toxic gas leak in India on December 3, 1984, and the Chernobyl nuclear accident on April 6, 1986. On August 29, 1993, the less than two-year-old Gouhou Reservoir in Qinghai Province collapsed, killing 328 and leaving 40 missing. China has more than 25,800 large dams, more than any other country in the world. These projects have relocated more than 10 million people from their homes and land Chinese banks and companies in recent years have been involved in constructing some 269 dams in 67 different countries, particularly in Africa and Southeast Asia. They include Kamchay Dam in Cambodia, Mphanda Nkuwa Dam in Mozambique, Merowe Dam in Sudan and Tasang Dam in Myanmar Dammed, diverted and polluted, China's rivers are reaching an ecological tipping point.